“When a party seeks lost future profits based upon a breach of contract or other wrong, the party must prove that the lost profits were a direct result of the defendant’s actions and that the amount of the lost profits can be established with reasonable certainty.” Forest’s Mens Shop v. Schmidt, 536 So. 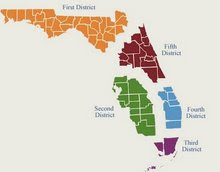 2d 334, 336 (Fla. 4th DCA 1988). “Lost profits are generally proven by one of two methods: (1) the ‘before and after theory’ or (2) the ‘yardstick test.’” 4 Corners Ins., Inc. v. Sun Publ’ns. of Fla., Inc., 5 So. 3d 780, 783 (Fla. 2d DCA 2009) (citing G.M. Brod & Co. v. U.S. Home Corp., 759 F.2d 1526, 1538 (11th Cir. 1985)). “The yardstick test is generally used when a business has not been established long enough to compile an earnings record that would sufficiently demonstrate lost profits” and “compares the profits of businesses ‘that are closely comparable to the plaintiff’s.’” Id. However, “[l]ost profits must be established with a reasonable degree of certainty and must be a natural consequence of the wrong,” and “[s]uch an award cannot be based upon speculation or conjecture.” Sostchin v. Doll Enters., Inc., 847 So. 2d 1123, 1128 (Fla. 3d DCA 2003). RBC argues that the testimony was speculative because it was based on “the number of houses built by the other homebuilders” without “even knowing whether they made a dime of profit.” While ASV’s expert explained how he arrived at his 7.32% profit rate as it applied to Pod 1A, we find the proof lacking as it relates to the pods built by the other contractors. ASV could not establish that the subsequent builders were in the same “start-up” position as ASV, could not prove the subsequent builders’ costs, could not prove that those builders actually made a profit on the subsequent pods, and could not prove that if ASV had been given the opportunity to build out the subsequent parcels, it would have been able to finance the build out and reach the same result as the other builders. This is critical, as times and economies had changed. For these reasons, we find the testimony lacks the reasonable certainty necessary to support the yardstick approach to lost profits, rendering the testimony too speculative to sustain the damages claimed for the future pods.